The pannels do 300 Watt each at 40Volt is 5Amp times 3 is 15 Amp. The panels do an average off 200 Watt so totaal per hour is 600 Watt divided by 24 Volts since the Solarregulator turns 40 V into 24 V to charge the batteries. So solarcharging brings only 25Amperes per hour. We choose AGM batteries because they are good on ruf roads. In 5 years when we need to replace them it probably are going to be LiON’s. 2 Batteries is 2x 220Ah=440Ah at 12V. But we have 24V makes 220Ah per set. We have two sets so at 24V we carry 440Ah. Problem with the AGM batteries is that they are only 50% to decharge. So effectively we have 220Ah to our disposal. When we cook on 1 plate at full power we use 1850 Watt at 230V. 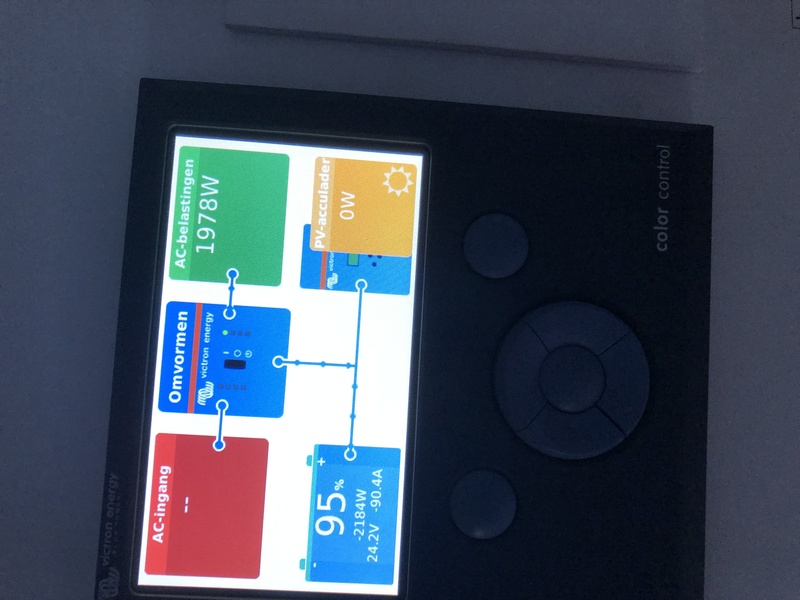 The Victron Color Control shows 2100 Watt usage. This means that the convertor uses 150 Watt at this powerlevel. 2100 W / 24V = 88 Amp. So we can cook for 220Ah/88Ah = little less then 3 hours before our batteries are at 50%. 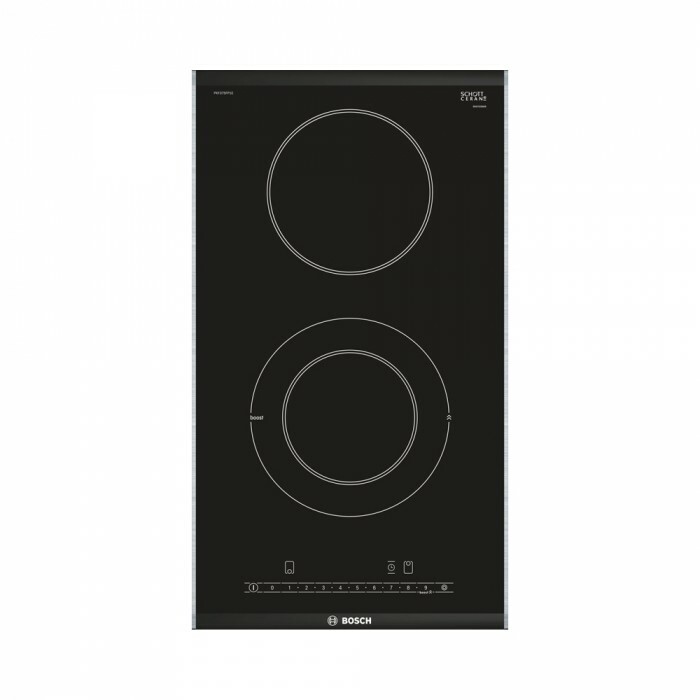 If we cook at 60% instead off fullpower the internal resistant of the convertor drops dramaticaly and the batteries do not heat up so there is a lott less loss also.